Luxury holidays from Celebrity Cruises are being enhanced with on-board activities to encourage wellbeing. With all the added attractions, holidaymakers should remember travel insurance cover for peace of mind on their breaks. The programme, called Celebrity Life, includes new interactive activities based on making healthy eating choices. They feature a trivia game testing knowledge of healthy eating to promote healthy choices when dining out. A cooking demonstration will point out ways to get the most flavour and nutrition for fewer calories at home, and a mixology display gives tips for serving drinks without unwanted calories. 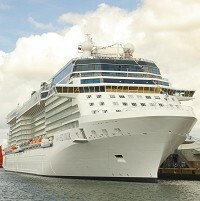 Guests have told Celebrity Cruises their wellness activities are fulfilling, according to product development director Dominique Bonavita. The activities planned are inspired by the best-selling book Eat This, Not That!. The company operates from Southampton to world-wide destinations.